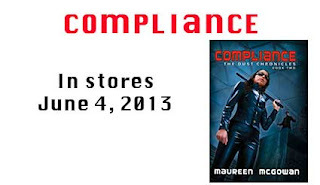 Spine-tingling danger, heart-pounding romance, scab-covered monsters! 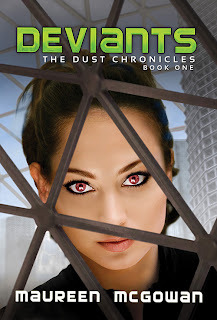 The Dust Chronicles has it all! I can’t believe how quickly this release date has come! 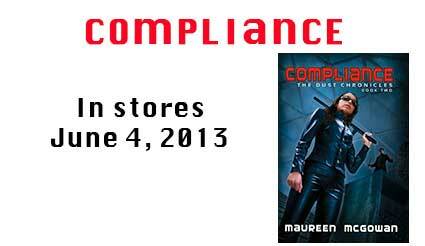 I’m thrilled to announce that COMPLIANCE goes on sale tomorrow, June 4, 2013. If you’ve pre-ordered the kindle version, it might show up on your kindle in less than 12 hours! More info or buy now! And if you haven’t read DEVIANTS, yet. Great news! Your procrastination has paid off! DEVIANTS is on sale at Amazon! Both in the US and Canada. In Canada, only the audio and kindle versions are on sale, but if you’re in the US, or can order from the US store, amazon.com has the hardcover version for DEVIANTS on sale for less than $3.00!!!! Wow. What a bargoon.